This Sunday, at the Hell in a Cell, former best friends-turned- arch-enemies, Becky Lynch and Charlotte will collide one one one for the SmackDown women's championship. Lynch's heel turn at SummerSlam and gruesome assault on Charlotte instigated a deeply personal rivalry between the two women. Lynch is heading into the event with serious momentum whereas Charlotte has been struggling to gain an upper hand on Lynch lately, which brings me to the conclusion that Lynch should walk out of Hell in a Cell with the SmackDown women's championship. The WWE Universe was firmly on Lynch's side during the build-up to SummerSlam, but then Charlotte returned and inserted herself into the title picture. Unfortunately for Lynch and a majority of WWE's fan-base, Charlotte won yet another women's title and Lynch lost yet another big match. With all due respect to Charlotte, many fans have grown sick of her as champion and as a lovable babyface. Charlotte has always done her best work as a heel and turning her heel at SummerSlam would've proved a better option. Fans want to see new women stars in the main-event scene and Lynch has every right to be in the main-event scene as women's champion. Furthermore, I've been skeptical of Lynch's heel turn as I think her personality suits a babyface more than a heel and Lynch's popularity is undeniable. I question that in the event that Lynch loses her title opportunity at HIAC, what was the point of the heel turn in the first place? Lynch's heel turn would be completely pointless if she's unable to topple her rival. Moreover, Why would WWE announce another match between the two women at WWE Super-ShowDown before their match at HIAC? This would indicate a title change as the match at WWE Super-ShowDown would act as a standard championship rematch for Charlotte. In a logical sense, WWE has inadvertently or intentionally spoiled the outcome of their match at Hell in a Cell. A win at HIAC for Becky Lynch could mark a double turn between the two stars, as reported by many sites. Charlotte and Lynch could switch roles at HIAC if Lynch emerges victorious. 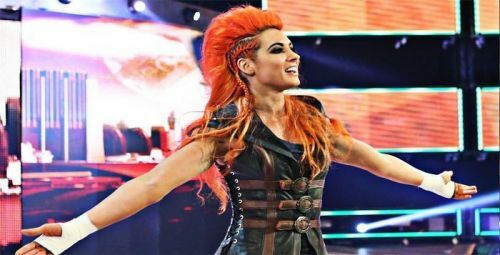 Would you like to see Becky Lynch as a women's champion in the future?